Never underestimate the power of a second chance. 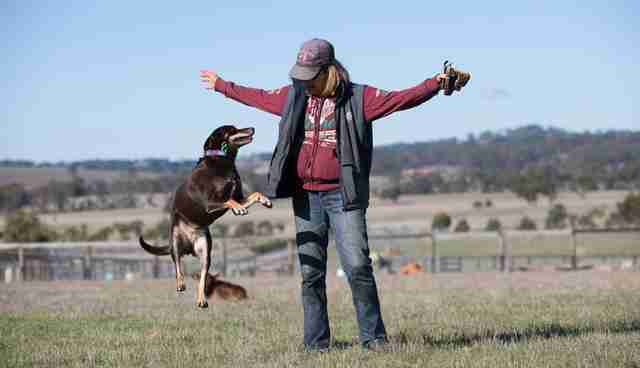 Ruby is a sheepdog who was purchased by her former owner in Australia to herd the sheep on his property, but she never really mastered what he wanted her to do. So he beat her. And one day, he decided to just to get rid of her. 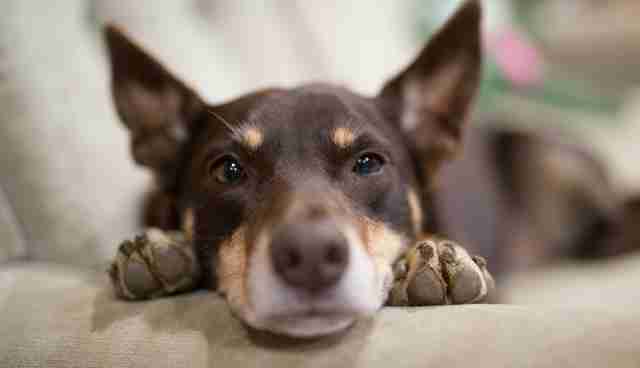 Ruby's owner took her to his friend's house - so he could shoot her. When the friend came outside to shoot Ruby, she was at first so frightened that she wet herself. Then in an act of bravery and compassion she jumped on him, began licking his face, and accidentally awakened his heart. The friend quietly told Ruby to get down, and then went inside to make a call. The man saved Ruby's life that day, and gave her a second chance. 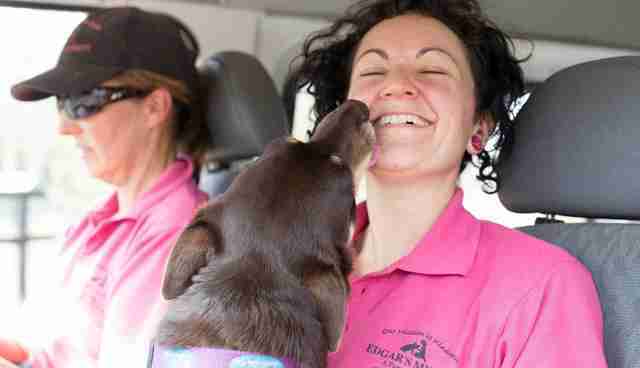 Ruby was taken to Edgar's Mission, a farm sanctuary that provides lifelong care to over 300 rescued animals in Australia. "She really has blossomed from the frightened skinny dog who came into our lives," Pam Ahern of Edgar's Mission told The Dodo. "I remember the despair we all felt when we first saw her, you only had to look at her sideways and she would wet herself." While Ruby is sometimes still frightened, the love she was shown from the first moments she arrived at her new home is unlike any she had ever felt before. 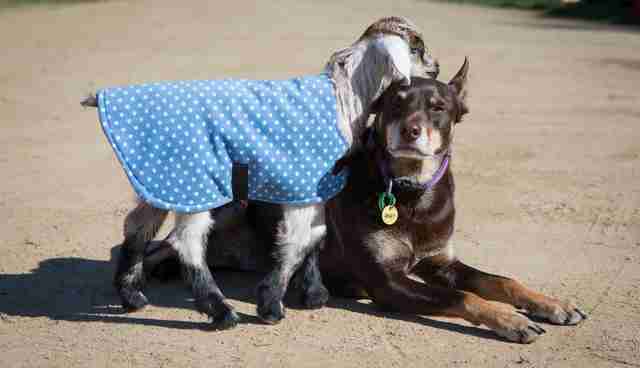 At Edgar's Mission, Ruby finally found her true calling - to make sure no human or animal ever feels alone ever again. From assisting on tours to comforting rescue animals, Ruby is constantly making others feel the way Edgar's Mission made her feel the day they saved her life. "She really has made it her official duty to be assistant tour guide," Ahern said. "I may be working away here in the office and Ruby realizes a tour has started, so off she races to the door and begins scratching." In addition to helping on tours and greeting the guests of the sanctuary, Ruby also befriends and helps heal the emotional wounds of all the animals who come to the sanctuary. She's become a bit of a vet nurse, and the role seems to suit her very well. One of Ruby's best friends at the sanctuary is a pig named Little Squeak, who Ruby plays with and guides with all the tenderness of a loving mother. 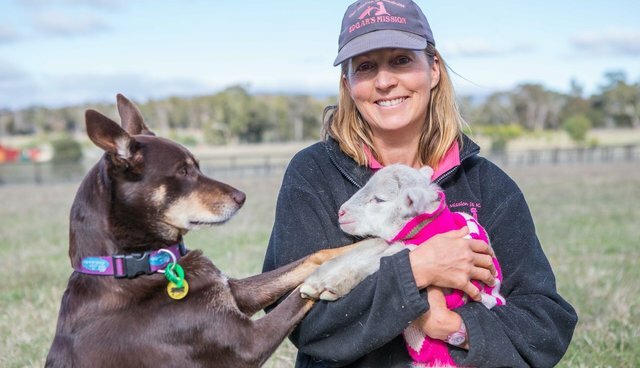 Ruby may have failed at herding sheep, but she has more than succeeded teaching others the meaning of love. 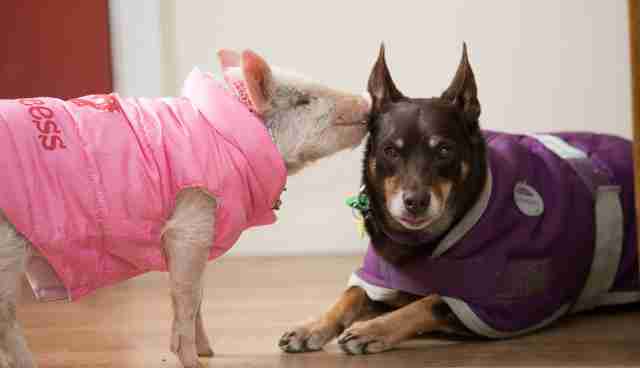 "Whether it is gently nudging the hand of a frightened child, or softly licking the nose of a rescued animal, Ruby touches hearts and minds and makes everyone she meets feel safe and special," Ahern said. Ruby came to Edgar's Mission to be saved, and in return she now saves others in need, every single day. To donate to Edgar's Mission, you can check out their website to learn more.